On January 29, the U.S. Court of Appeals for the Fifth Circuit, in an interesting unpublished ruling, affirmed the District Court’s denial of a motion to vacate an arbitration order of the Civilian Board of Contract Appeals (Board). The Board rejected an appeal made by the Louisiana Department of Natural Resources (LDNR) objecting to a determination of the Federal Emergency Management Agency (FEMA) that millions of dollars in federal funds should be made available for the restoration of 16 barrier islands off the coast of Louisiana that suffered substantial damage from Hurricanes Rita and Katrina in 2005. The case is Louisiana Department of Natural Resources through the Coastal Protection Restoration Authority v. FEMA. In September 2013, the Louisiana Department of Natural Resources (LDNR) requested $586,112,000 in federal funds to restore these barrier islands. In August 2015, FEMA denied this request on the basis that the LDNR failed to provide any information that these were “assistance-eligible facilities,” as required by the rules and the Robert T. Stafford Disaster and Emergency Assistance Act. Under the rules, for a “system” to qualify for relief, it must be “built or manufactured,” and for a “natural feature” to qualify, it must be “improved and maintained.” FEMA determined that the information provided by the LDNR was not sufficient to demonstrate eligibility. In September 2015, LDNR sought relief from the Civilian Board of Contract Appeals in the form of an arbitration; the filings included a 34-page statement and over 120 exhibits. In March 2016, a unanimous arbitration panel held that FEMA correctly denied the application and dismissed the arbitration in its entirety because the “barrier islands, as a system cannot meet any of the eligibility requirements.” Reconsideration was denied in June 2016. LDNR then filed this action in the federal district court seeking to have the June 2016 denial of reconsideration vacated, but did not challenge the underlying merits decision. In deciding this appeal, the Fifth Circuit noted that judicial review of an arbitration award is very deferential, and even more so in a case like this. 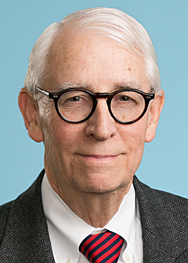 The Fifth Circuit therefore held that the only issue that had any salience was whether the arbitration panel’s denial of reconsideration was evidence of misconduct on the panel’s part, and the Fifth Circuit concluded there was no evidence that the LDNR’s rights were adversely and unfairly affected by the panel’s ruling.